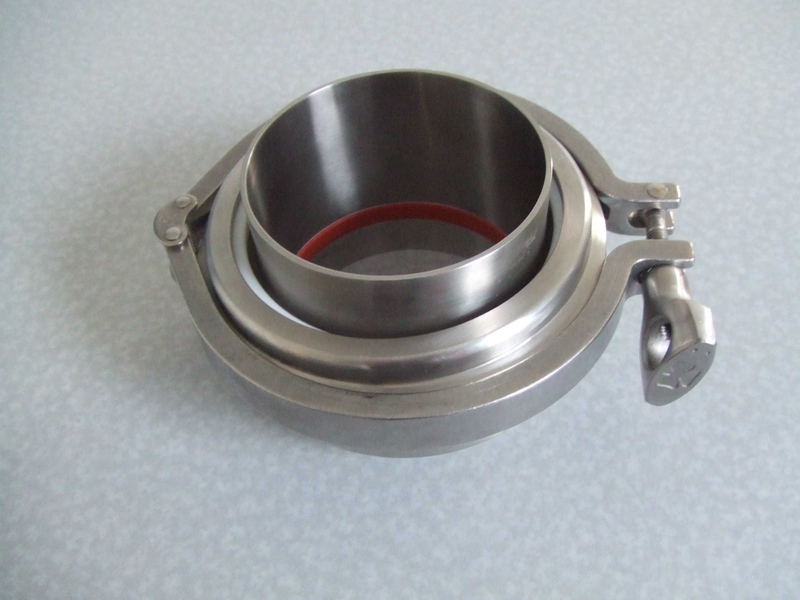 Sanitary Solutions is your source for T316L Sanitary Swivel Joints primarily found in the Bakery, Beverage, Cosmetic, Dairy, Food , Meat, Poultry Industries. Sanitary Solutions supplies you with the ONLY 3-A Sanitary Swivel Joint presently in the industry. 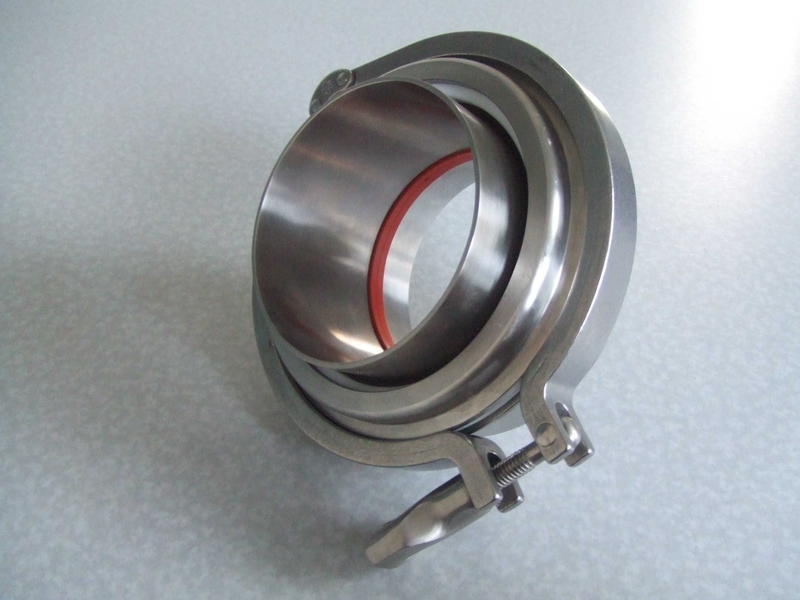 As you examine the 3-A sanitary swivel joint, notice the Machine Finish on the Inside Diameter and on the Outside of the Diameter of the tube, the internal seals and that we can supply you with multiple combinations and styles of swivel joints to meet your process line requirements. Repair Kits for Sanitary Swivel Joints? Yes, we can supply repair kits for the 3-A style or the non 3-A style . So, why use a sanitary swivel joint? Do you have problems moving hoses through your process line? Have you had a forklift run over a hose and destroyed it because the person driving the forklift did not move the hose out of way? Do you wish you could rotate that hose to help you in servicing the line? If you answer "YES" to either of the above questions, then you need a Sanitary Swivel Joint-- Sanitary Swivel Joints provide torsional rotation between flow lines and allow hoses to pivot to reduce stretching, twisting, or bending. 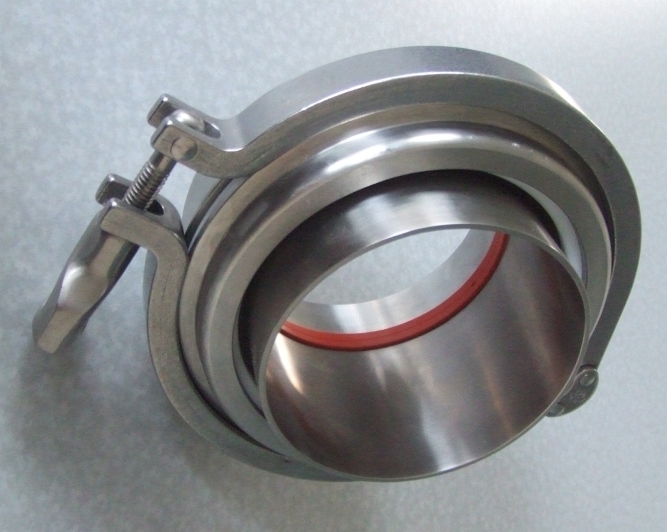 Our swivel joints are equipped with a bearing washer and face seal for increased load distribution on the line. So how do swivel joints save you money-- put the swivel joint and rack for the hose off the ground, mount the hose and no more destroyed hoses since the forklift can't run over the hose. When placing an order that day, our sales staff located in West Columbia, South Carolina will send you an e-mail confirmation and tracking information showing that the product shipped the day of the order and that the product shipped complete.. Take a few moments to review the Sanitary Swivel Joint PDF so you can acquaint yourself with the various styles we offer, sizes and seals to choose from and the advantages of using a sanitary swivel joint for your process application. 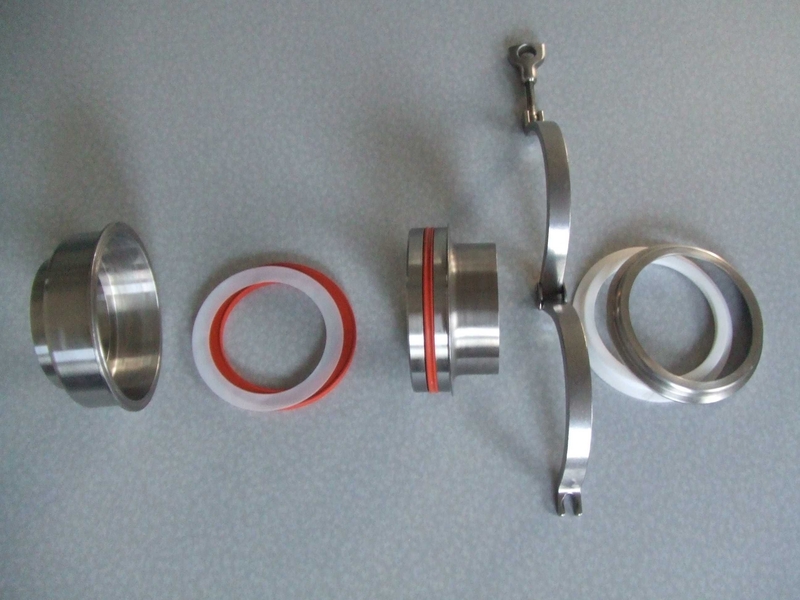 If you are in need of Sanitary Swivel Joint repair parts such as seals, seats, or collars, then contact us so we can supply you with a price and availability. The Sanitary Solutions sales team awaits your call at 1-888-909-3569 or 1-855-640-7871 to assist you with any questions or exploring the benefits of a sanitary swivel joint -- we are your sanitary solution for a sanitary swivel joint whether the 3-A style or the non 3-A style . Reminder: Don't be fooled with other suppliers in the industry who supply a similar swivel joint-- ask them if they are a 3-a and have them provide the certificate-- Our supplier is 3-a!